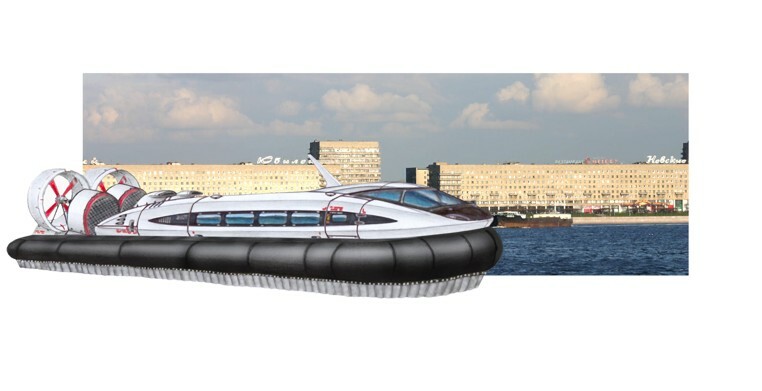 The amphibian air-cushion craft is intended for year-round carrying of passengers and cargo with total mass of 1200 kg and a crew of 2 persons. 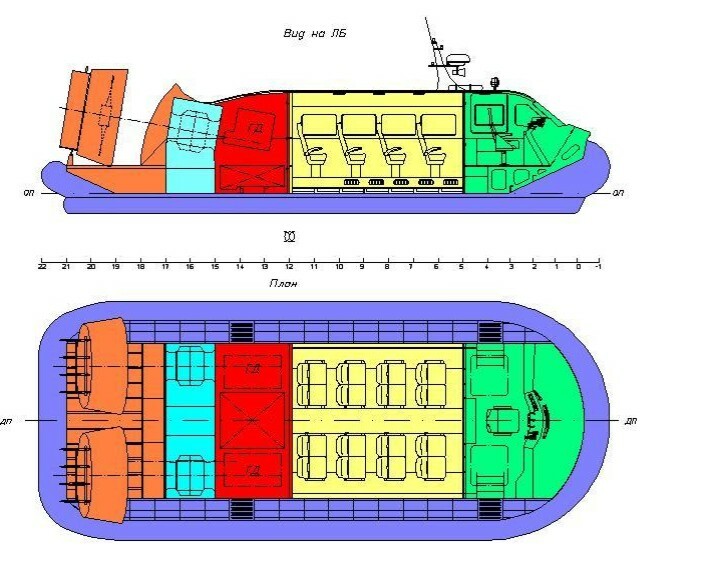 The air-cushion craft satisfies the Russian River Register class Р1,2/0,6. A modernization to О2,0/0,8 is possible. 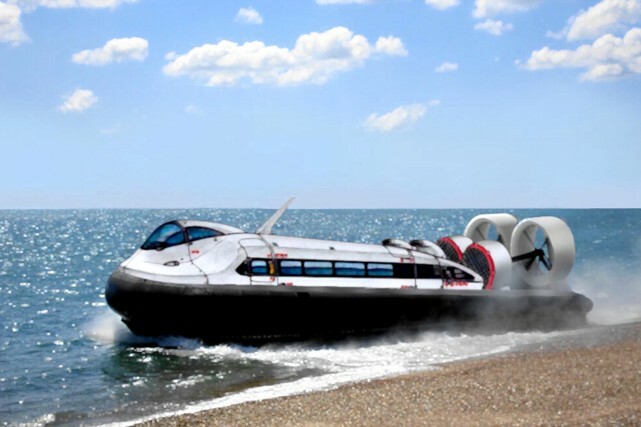 The air-cushion craft provides movement on water with a speed of 60-65 km/h, on ice with hummock up to 0,6 m with speed up to 80 km/h, on earth covered with snow up to 20 cm and without snow, on flat wetland. The craft can operate at temperatures from –30° till +30°С, at wind strength up to 15 m/s. A flexible railing of double-deck type with longitudinal and lateral air-cushion sectionalization. The propulsion devices use structural stocks of airscrew blades and ring shrouds, especially developed for air-cushion crafts. The power transmission from the engine to the propulsion and lifting complex is realized on a straight shaft line without angle drive. The steering arrangement is made in form of a grid-section of vertical rudder with special kinematics, which provides a turn of the airstream up to 900 on each side.